"Our economy is strong," Powell said at a press conference on Wednesday. "These rates remain low, and my colleagues and I believe that this gradual returning to normal is helping to sustain this strong economy." The central bank also stripped the word "accommodative" from its description of monetary policy. That may be a signal that the Fed believes interest rates are finally at a neutral level, meaning they neither stimulate nor hinder the economy. The Fed kept rates near record lows for years to encourage growth after the financial crisis. But it has been gradually raising them over the past three years. Daragh Maher, the head of FX strategy for the United States at HSBC, said the change in language reflects "the reality that policy can no longer be usefully described as loose." The Fed wants to raise interest rates steadily to keep the economy from overheating, but avoid raising rates so quickly that it brings on could help start a recession. 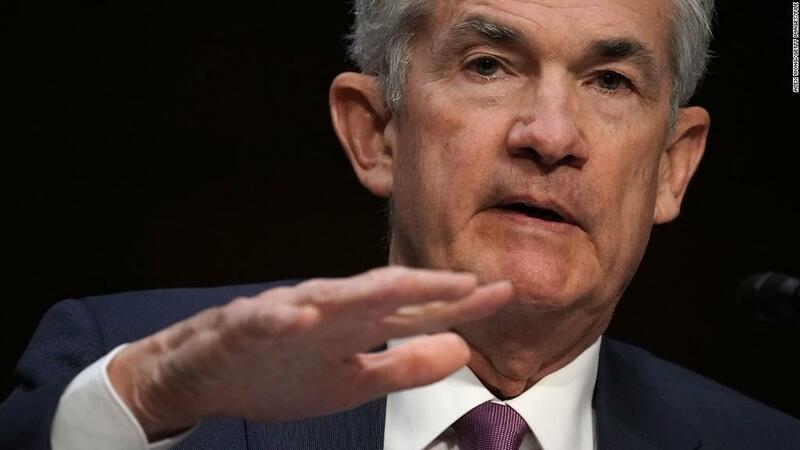 Powell said that central bankers have heard a "rising chorus" of concerns from businesses about the US-China trade war. But he said that the economic impact of US tariffs is "still relatively small." He warned that tariffs could lead to higher consumer prices, but said policymakers don't see that in the numbers just yet. Walmart, Gap, Coca-Cola, General Motors, Macy's and other companies have said tariffs could force them to raise prices on everyday consumer goods.